On Saturday I went to the Annenberg Space for Photography with a group from InterNations. I am so lucky that they have an exhibition in collaboration with National Geographic magazine, called The Power of Photography, while I am here. National Geographic is a big name of which mostly everybody has heard of before. For their 125 anniversary they created a exhibition featuring the best and most meaningful pictures. All the images were stunning, no matter if being nature-, people-, or animals-shots. Sometimes almost unbelievable that all the pictures weren’t edited by Photoshop, in a time when it is hard to find a picture not edited. But this proves how talented all the people working for National Geographic are. Due to limited space and the huge amount of photographs, digital screens were used to show pictures in addition to print media. I really liked that because you could wander around several times always seeing something new or simply stand in front of a screen for several minutes and watch pictures changing. 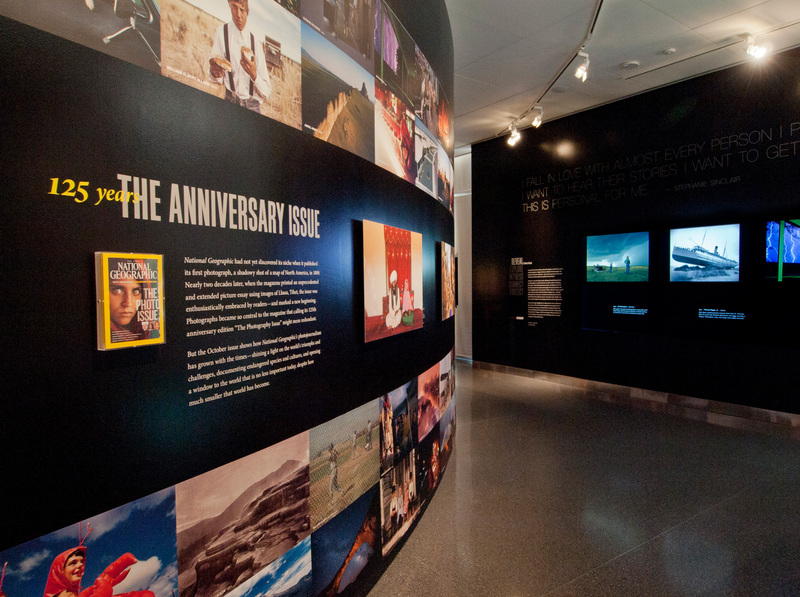 We had a guided tour, which gave an insight into the history of National Geographic, dating back to 1888, and in addition included information about photographers like Steve McCurry. In addition two documentary’s were shown, one about the creation of the exhibition and the second one featured interviews with journalists and photographers, talking about the power of photography and what inspires them. When we see a picture, especially pictures from National Geographic, showing content of social evils of the world, I have never really thought about what it must have been like taking this picture. Those journalists and photographers are deeply involved in their surrounding, the culture and the people. The documentary was a great eye-opener and encouraged to think about it. After having been in so many museums all over the world the Annenberg Space, even though being really small and only featuring one exhibition at a time, was one of the greatest places I have been to, because it really touched me. I learned that photography really is a powerful tool! Unfortunately now photography was allowed inside the museum, I would have loved to share the pictures I liked the most.